How about this for a challenge??? 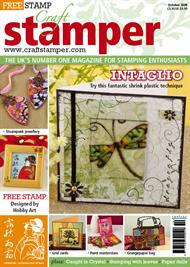 I had a phone call yesterday from regular contributor Lousette Ashton - she has been selected by Stampin' Up! to take part in their blog challenge (congrats Lousette). She is one of three challengers who will receive a box of goodies from the new SU catalogue tomorrow (Wed 30th Sept) afternoon and have until just 12 midnight to design and create samples and post them on their blogs. Now that IS a challenge! Rather you than me Lousette (takes me four hours to make a card!!!). 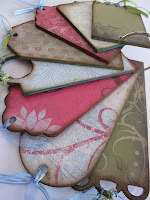 Pop over to Lousette's Blog for more info and to see what she creates! Just a reminder that the closing date for the Stamper of the Year competition is 16th October, so if you want to enter you better get your skates on! Send or email your stamped creations to us (details here) - you've nothing to lose and you could win over £1000 worth of fantastic goodies. Three of the entrants from last year - Kate Bentley, Hannah Milburn and Kim Costello - have allo contributed to the magazine as a result. You could be next! 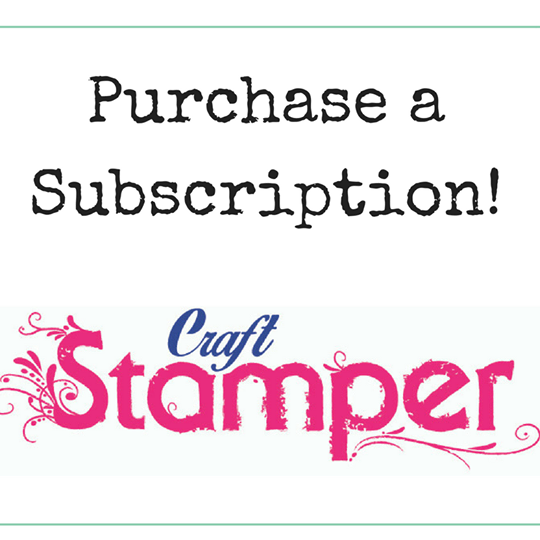 If you have a few moments to spare I'd be very grateful if you would take the time to complete our feedback questionnaire online at www.craftstamper.com/feedback. It only takes a few mins to complete and there are £20 worth of PaperArtsy stamps up for grabs for one person who takes part. We'll use the feedback to make improvements to the magazine. Check out Gail Milburn's blog, recently added to our contributor blog list. 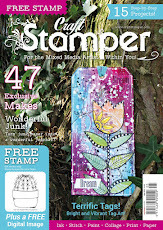 Gail's fabulous altered art work appears regularly in Craft Stamper magazine and now you can see more of her creations online. Enjoy! Pop along to PaperArtsy's blog this weekend and take a peek at their '12 days of Christmas' series of posts all featuring the new Nut & Meg stamps. There will be loads of different seasonal ideas over a twelve day period and knowing Leandra and her DT there will be tons of interesting, different and inspiring creations! Oh, and while you are over that way check out the new Rum and Raisin papers (little piccie here) - yummy scrummy! The new October issue is out on sale today (4th September) so don't forget to pick up your copy. The cover stamp this month is a lovely Geisha stamp by Hobby Art and there are loads of great projects to inspire you from cards, to jewellery, to wall art and even a handbag! Our cover has had a bit of a makeover this issue and we have a new groovy matt finish as well as a few design tweaks to make it prettier. Hope you like :).